New Tires, Rear Camera, Bluetooth, Remote Keyless Entry, Comfortable Cloth Seats. Enjoy the fantastic performance of our 2018 Volkswagen Jetta S Sedan that looks great in Silk Blue Metallic! Powered by an impressive TurboCharged 1.4 Liter 4 Cylinder that offers 150hp while connected to a 6 Speed Automatic transmission. This Front Wheel Drive helps you score you near 40mpg on the open road. We guarantee you will be looking for reasons to get out and drive in this Jetta! Roll up in style behind the wheel of our Jetta S that's perfectly accented by LED daytime running lights and distinctive wheels Jump inside the masterfully crafted Jetta S cabin to find everything you need and more with cloth seating surfaces, a multi-function steering wheel, and a rearview camera. Sync up your compatible device through Bluetooth to our incredible touchscreen audio system and listen to whatever tunes suit your mood. This is first-class travel! Our Jetta has been engineered to protect you with advanced safety features and has received a 5-Star safety rating. Confidence comes standard with ABS, stability/traction control, a reinforced safety cage construction, advanced airbags, intelligent crash response system, and more! Boasting stand-out style, efficient performance and great amenities, our Jetta S is a compelling package you'll love for years to come! Print this page and call us Now... We Know You Will Enjoy Your Test Drive Towards Ownership! 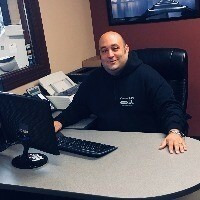 Concord Cars has been a no hassle no hidden fees company for over 30 years! Over 25 lenders eager to finance almost any credit situation. Apply Now! Hello, I would like more information about the 2018 Volkswagen Jetta, stock# 211010. Hello, I would like to see more pictures of the 2018 Volkswagen Jetta, stock# 211010.